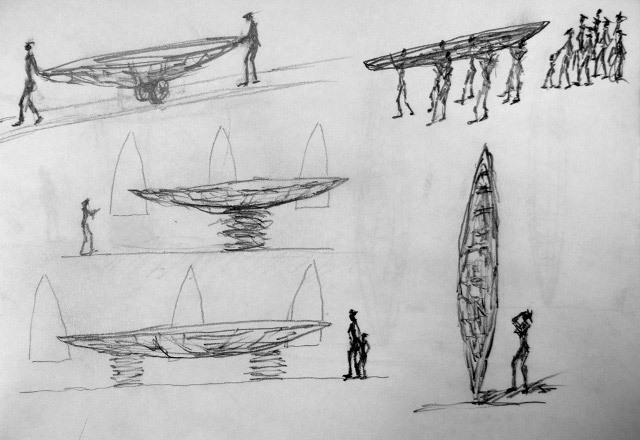 Andreas Hetfeld designed a boat sculpture from willow for Landjuweel. The sculpture was built on location in the Ooijpolder. Then for the festival, it was carried from the Nijmegen harbor in a procession of musicians, dancers, actors, acrobats and artists through the downtown to St. Stevens Cathedral, where it was displayed. The sculpture symbolized the transition between life and death.